So, let’s assume you haven’t played The Elder Scrolls Online before today. What can we tell you? It’s okay. Very solid, like a dining table. But equally like a dining table, not something you’d want to spend an awful lot of time with unless you’ve got friends around. Elder Scrolls Online patches have expanded its range of dungeons, but done nothing to improve on its back-and-forth quests. 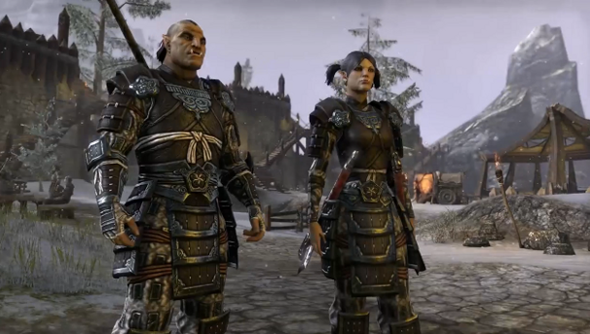 Try The Elder Scrolls Online for yourself on Steam, by all means. It’s absolutely fine. Bethesda announced the news on Twitter this afternoon ahead of their QuakeCon weekend. Our Nick ummed and ahhed throughout his Elder Scrolls Online review, but eventually came down hard on its “bizarre design decisions” and “rookie structural mistakes”. “It has moments of sheer class, but they’re consistently tainted by bugs,” he wrote. “I love the PvP, but it’s pointless playing when the rewards are so slim. I like the questing, but huge numbers of quests are simply broken. I love the world, and the lore, and some of the systems they have produced. But my enjoyment of them was undermined by poor design. I will say that the slew of Elder Scrolls Online patches since release have cleaned up a lot of the quest-breaking bugs Nick referred to in his review. There are no longer instances where your abilities simply refuse to activate, leaving you staring dumbly at your soon-to-be killers. Gold farming bots have been dealt with, and weapon racks made lootable. And it’s definitely worth wandering about Daggerfall for a bit, just to see what it looks like in this century. By that point, you’ll have worked out whether you want to continue paying for ESO or not. Or perhaps you already have?